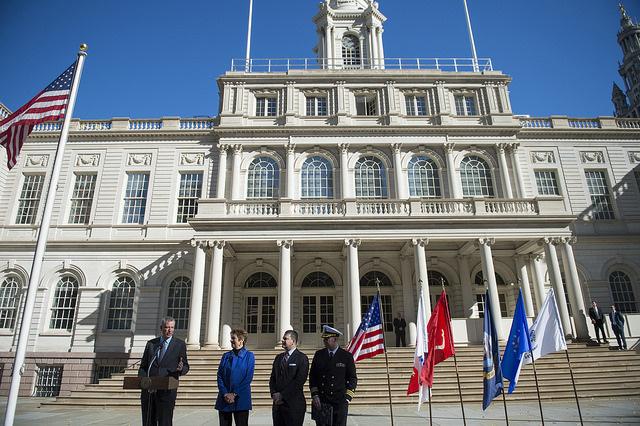 The Mayor’s Office of Veterans Affairs is transitioning into the Department of Veterans’ Services, a standalone department with a distinct agency budget and providing expanded services for the city’s 225,000 military veterans. The department became official in April and will now proceed to rollout over the next year, increasing staff from a mere half-dozen to more than 30 full-time employees. 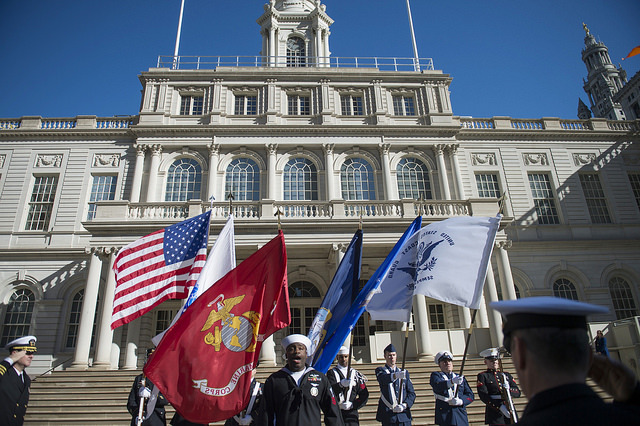 Mayor Bill de Blasio’s executive budget allocates $3.84 million to the Department of Veterans’ Services, about twice as much as MOVA’s budget for the current fiscal year. Commissioner Loree Sutton has already indicated what the agency’s direction will be. Speaking at an event at LaGuardia Community College on May 2, she laid out her top strategic priorities: ending veteran homelessness; implementing elements of the city’s ThriveNYC mental health program; and promoting education, employment and entrepreneurship for veterans. The department has already taken a few steps in implementing these goals. To fight veteran homelessness, it has hired five peer-to-peer coordinators to undertake outreach to homeless veterans, particularly the “hidden population,” Sutton said, which includes student veterans who have difficulties accessing affordable housing. The city currently has about 432 veterans in the homeless shelter system, down from more than 3,500 six or seven years ago. Last year, the federal government certified the city as having ended chronic veteran homelessness, meaning homeless veterans who remain. 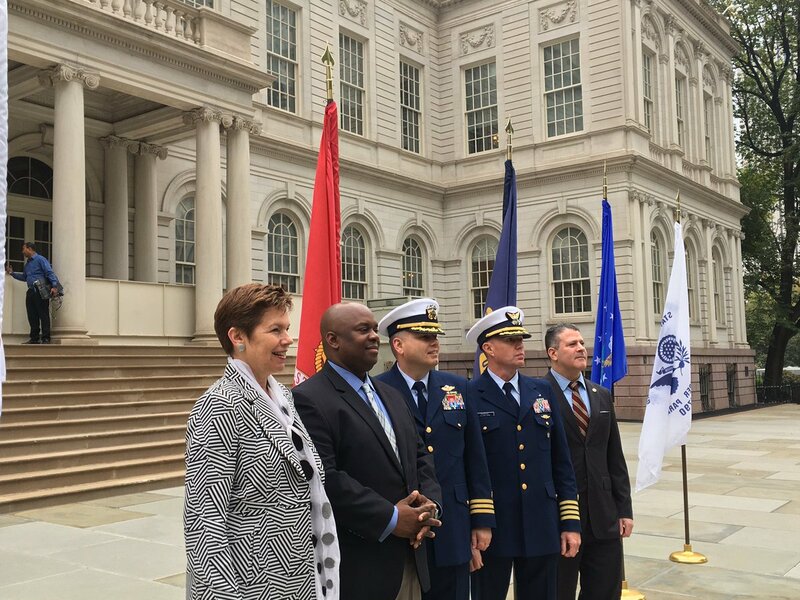 The department will also appoint two assistant commissioners, one to implement Thrive NYC with an eight-member team and another to connect veterans with educational and economic opportunities. Using rudimentary military terminology, she explained the process. Until July 1, the department will be in the “transitional planning and budget” phase. With the July start of the new fiscal year, the department will enter Phase II, IOC or initial operating capacity. That phase will go through the entire fiscal year. “We will ramp up to that full 33-34 positions and by July of 2017 we’ll be at FOC - full operating capacity,” Sutton said. After the release of the preliminary budget, the department was initially slated for a budget hearing which was later cancelled. For veterans advocates, it would’ve been a chance to hear the administration’s plan to set up its new agency and identify its priorities for veteran services. Tomorrow, advocates and the Council will get those answers. Mark-Viverito will attend Friday’s hearing, slated for 1 p.m. at City Hall, and deliver brief opening remarks. According to her office, the speaker will highlight the need for expanded services for the city’s veterans - the reason that the Council pushed for a new department outside the mayor's office - citing persistent challenges of mental illness, substance abuse, hunger, and unemployment. Kristen Rouse, an Army veteran and president and founding director of NYC Veterans Alliance, an advocacy group, has many expectations of the “ambitious programs” that DVS has on the horizon and hopes to get the budget details on Friday. Rouse’s priorities, which converge largely with Sutton’s outline, include the department’s approach to communications with veterans, implementation of veteran-specific initiatives in ThriveNYC, support for homeless veterans, placement of veteran outreach counselors in every borough, improved support for veteran employees in city agencies, and job placement assistance for veterans. “I'm also hoping to see a solid commitment of city tax-levy dollars in addition to the federal and state funding to show that the city is truly buying in on veteran programs and not simply going after external funds, or even private or philanthropic funds,” Rouse said. He did have minor concerns, however, about both the budget and Friday’s hearing. He said a vital reason that veterans advocates pushed for the new department was so that the city could ensure streamlined disbursement of funds to local nonprofit organizations that serve veterans. Those funds, he said, usually go through specific city agencies and face delays. “When we saw the positions they’d put forth, I didn’t see any person to handle the money for nonprofits. I’m hopeful Council Member [Eric] Ulrich will ask about that,” Bello added, referring to the chair of the Council’s veterans affairs committee, Eric Ulrich. Ulrich, Mark-Viverito, and Council Member Paul Vallone were key driving forces behind the creation of the new department, which Mayor de Blasio had initially rejected. Ulrich and Council finance committee Chair Julissa Ferreras-Copeland will lead Friday’s hearing. Ulrich’s office did not return requests for comment ahead of the hearing.